Young Kapuso actress Sarah Lahbati graces the cover of Woman Today magazine September 2012 issue. Sarah, With a Cause is the cover story of this month's issue of Woman Today magazine. Inside the issue also include "How Social Networking Can Save You Money", "27 Things to Do when Preparing for a Calamity", "Eco-Friendly Living - Without the Environmental Catch", "For Young Couple Start Building Your Financial Wealth - Now" and a lot more. 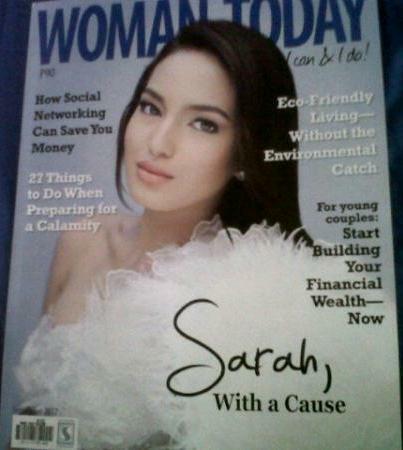 Grab your own copy of Woman Today magazine with Sarah Lahbati on the cover!